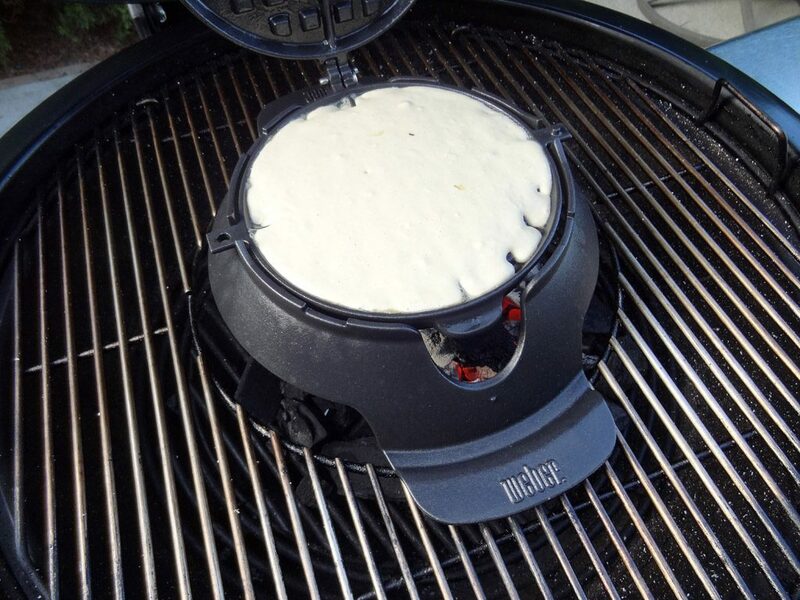 Sadly this awesome little contraption is yet another Weber accessory that is currently only sold in Europe (C’mon Weber – you’re killing us!) But thankfully after a quick google search I was able to order one through Amazon Italy and a week later it arrived on my doorstep. 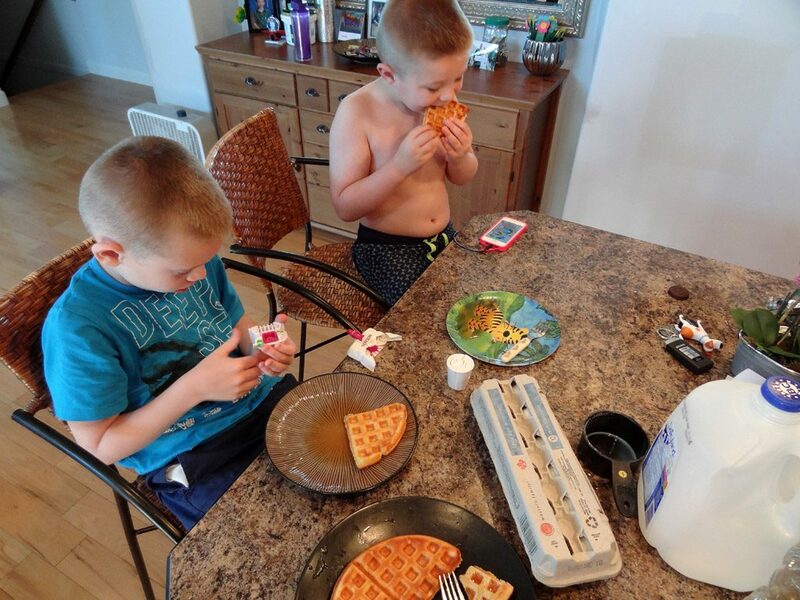 No – this is not the cheapest waffle iron out there by any means, but combine a love of Webers, a love of Charcoal, and a love of two little boys who love waffles and its a no brainer… at least that’s how I sold it to myself and wife! The fun factor alone of this accessory makes it worth the cost in my opinion. So here she is! 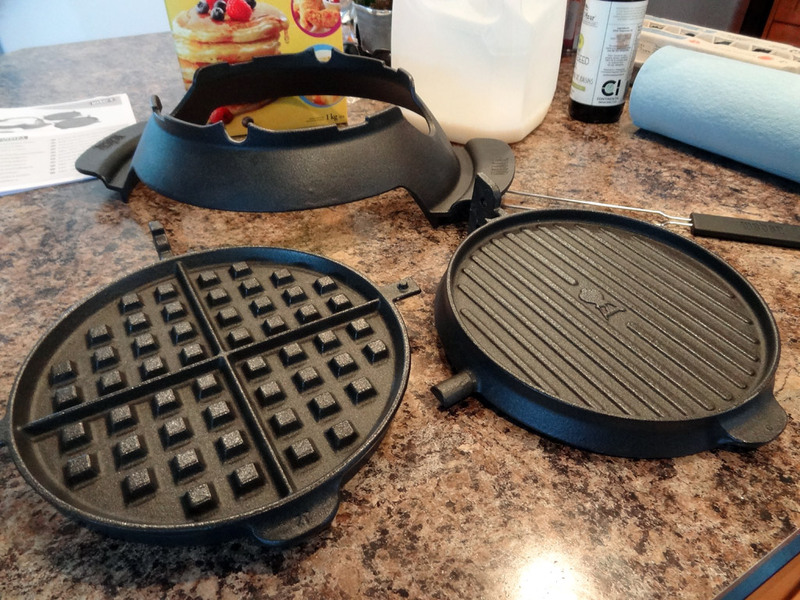 It’s a brilliant design consisting of a cast iron base and a two piece cast waffle iron/sandwich maker section that can rotate on itself so that you can cook both sides evenly! The posts off of the side of the iron are rounded on one side and flat on the other so you can also rest it in a secured flat position if desired. 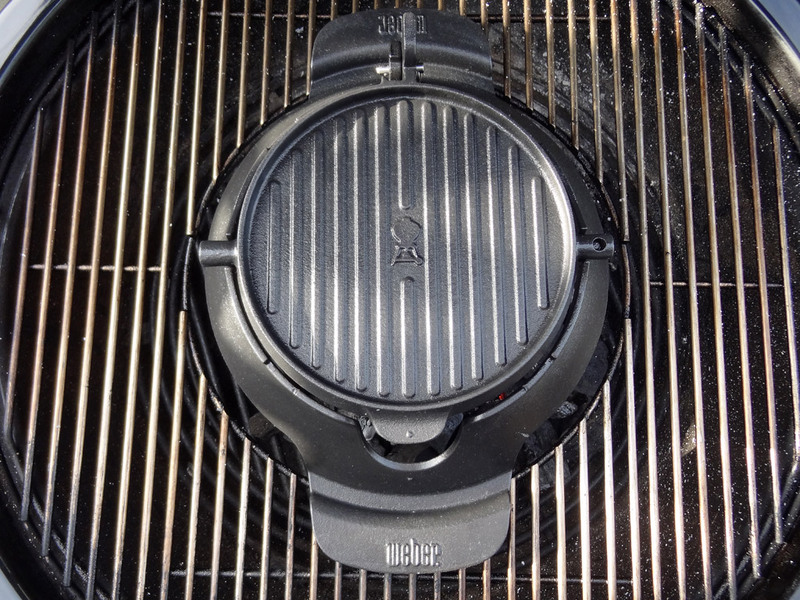 This will mostly be used when you are using it as a sandwich maker. It’s go time – bring on the ingredients! The manual suggests that you use 100 briquettes but I was using lump so I substituted about a chimneys worth of fuel. The Iron was allowed to heat up for about 10min and then was all set to go! Batter time! 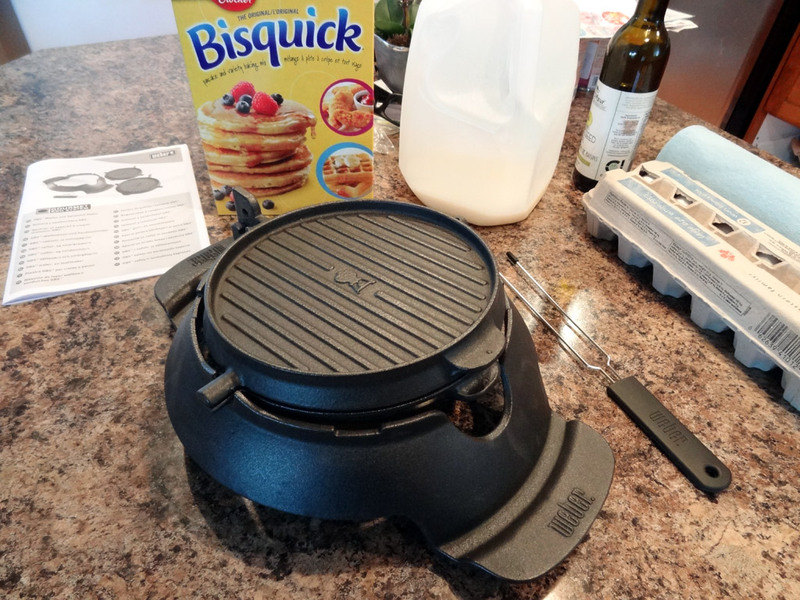 I filled the Iron bottom completely and then closed it up for about 30 seconds allowing the one side to slightly set – then flipped it over to cook the first side for about 3 min. 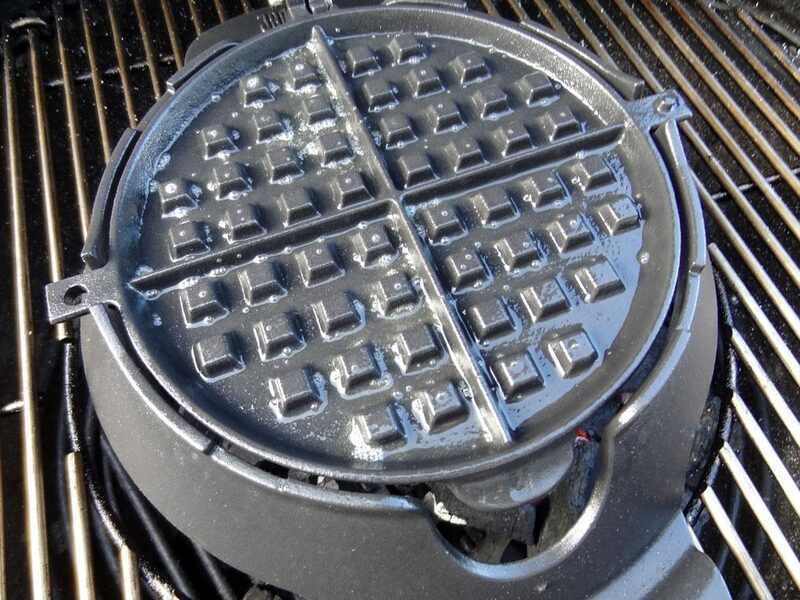 … Another 3 min on the second side and out pops a beautifully cooked waffle! 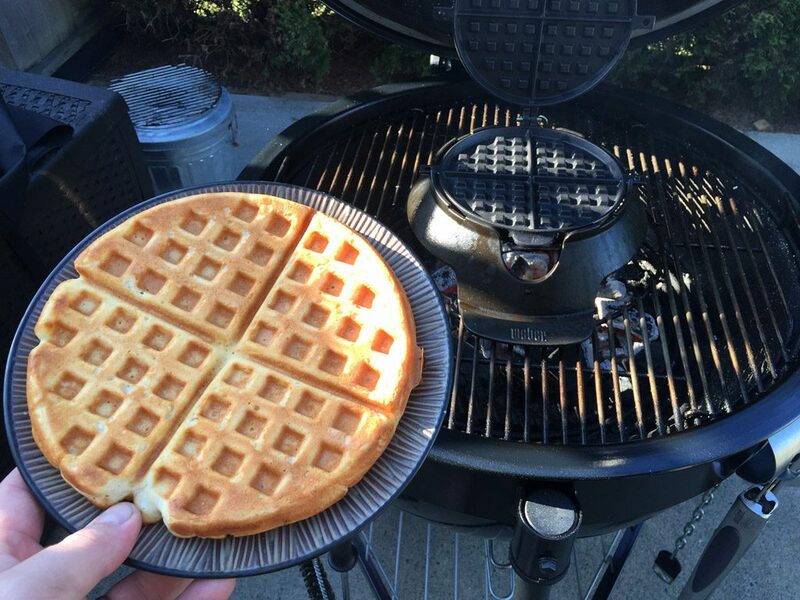 A little crispy on the outside and a soft warm inside – just perfect! Thanks for the review. 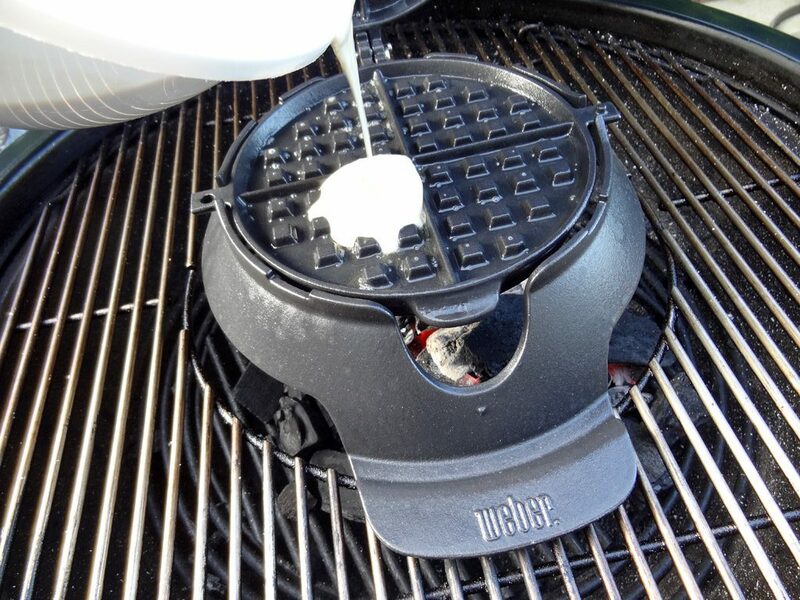 It is a great gadget. 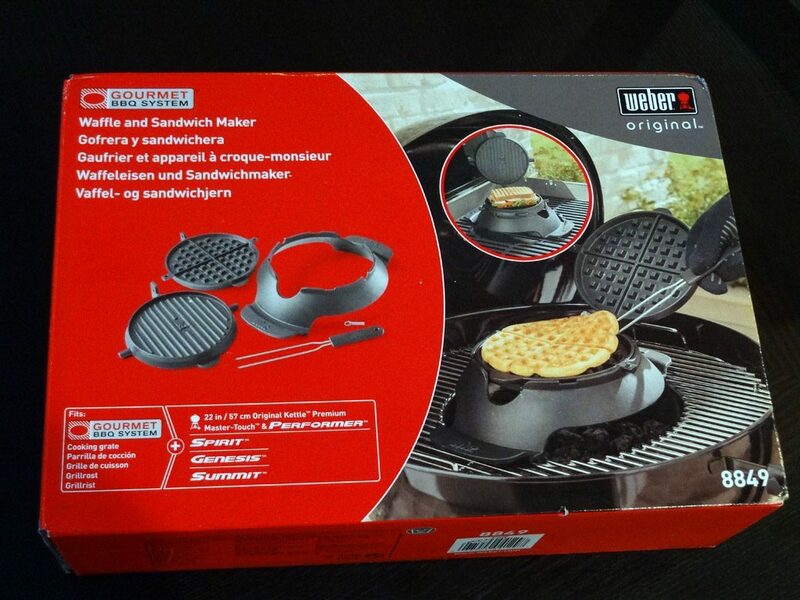 Living in Denmark, it is interesting that we have accessories that are exclusive for Europe. We sometimes experience the opposite. E.g. 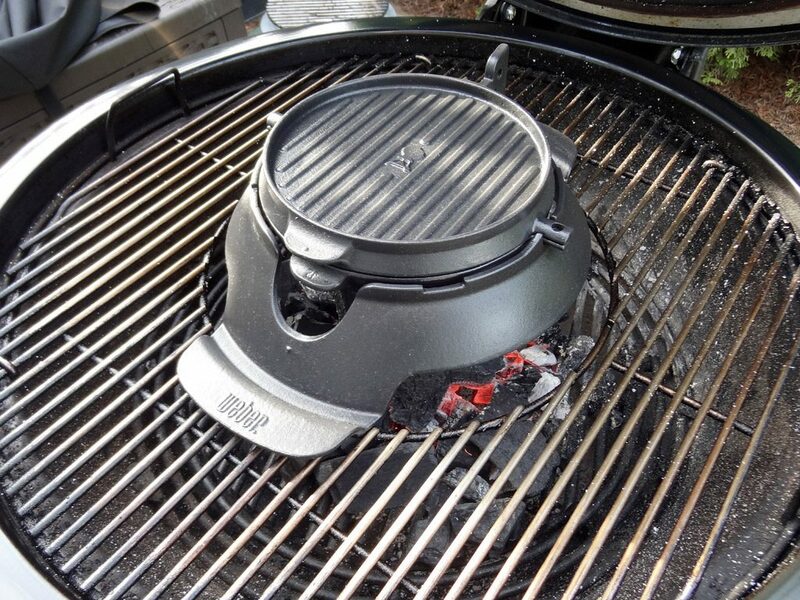 the new Summit Charcoal, which is not available in Europe in the version including the table (like the Performer). At that price, you really want the complete package.